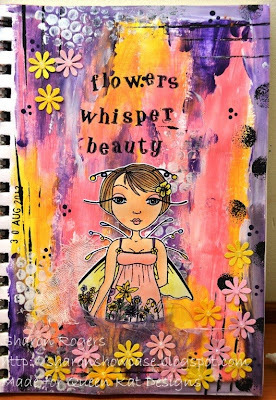 Today I am sharing a journal page using an image new to me from Maigan Lynn "Gigi" which is available to purchase at the QKD Store! 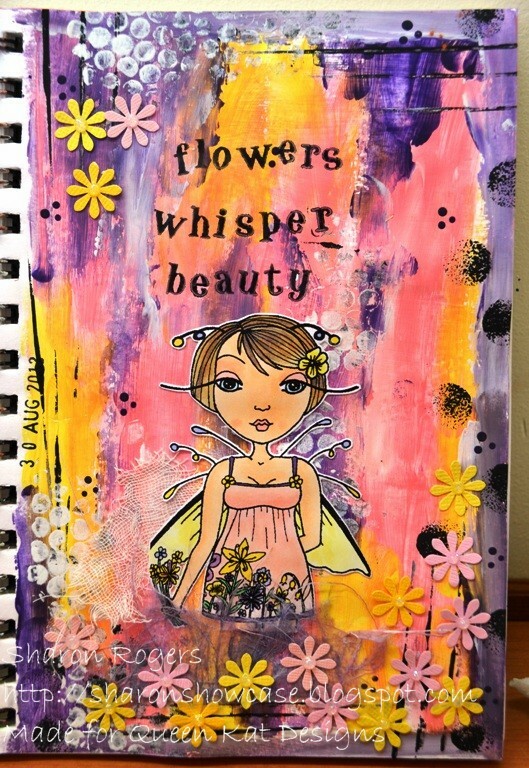 I love creating pages in my journal and getting paint everywhere and inking things up! Background is acrylic paints. 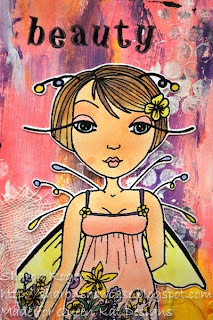 Image is coloured with Copic Markers and fussy cut then adhered to the page with Gel Medium. I added some muslin cloth and fibrous paper to the image. punched lots of little flowers and scattered them around the page - I put a dot of Stickles in the centre of each flower for some sparkle! beautiful coloring-love your art page!